Waterbirds will be “homeless” after an aged care facility turns two stormwater dams into car parks at Wallington, objectors have warned. But their complaints have fallen on deaf ears, with City Hall confirming TLC Aged Care had a permit and the right to carry out the works on its own property. The two “lakes” had provided a safe haven for waterfowl, frogs and other animals for nearly 20 years, said objector Heidi Wane. Centre residents, including Ms Wane’s mother-in-law, enjoyed the “beautiful, relaxing view” of the lakes, she said. Ms Wane bonded with her mother-in-law over the antics of ducks in the dams, she said. TLC would fill and drain the waterways to build car parks as part of a $24 million redevelopment, Ms Wane said. “It really upsets me. Calls to re-purpose and keep these beautiful lakes for the community and elderly residents are being ignored. 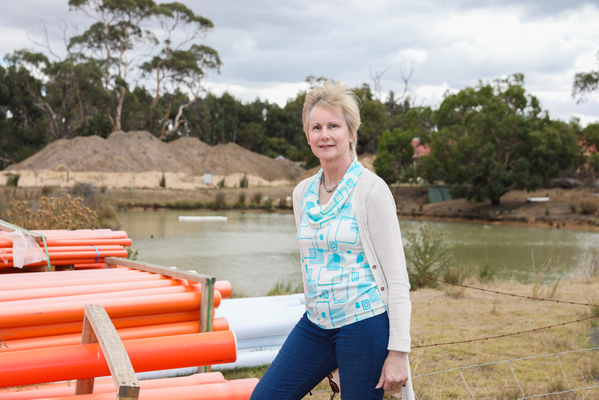 Ms Wane’s social media post opposing the loss of the waterways was shared more than 200 times. “Huge community backlash following a recent Facebook post of mine exposing the proposed destruction has shown I am not alone in wanting to protect both lakes and the wildlife who live on them,” she said. TLC Aged Care did not respond to the Indy’s calls for comment. Council issued the permit for the expansion project more than a year ago, a City Hall spokesperson said. The works included an integrated medical centre, road construction and access as well as some removal of native vegetation, the spokesperson said. TLC Aged Care had a right to fill in the dams because they were on the company’s private property, the spokesperson added.